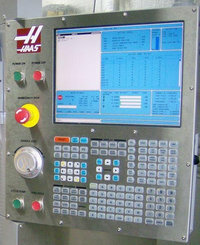 Haas Alarm: 200 VD OVER TEMP. Alarm: 200 VD OVER TEMP. Vector drive over temperature. The Vector Drive’s temperature sensor indicates over 90°C (194° F) near the bridge rectifier. This can be caused by an extended overload condition of the Vector Drive, a stopped fan or high room temperature. Check the fan to ensure it is working.